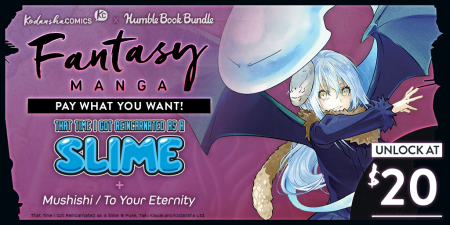 Battle Angel Alita, Noragami, That Time I Got Reincarnated as a Slime … Kodansha Comics are, first and foremost, about worlds of fantasy! 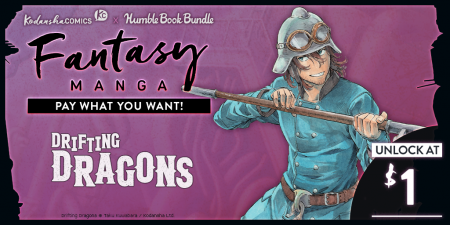 That’s why, starting Wednesday January 30, we’re teaming up with Humble Bundle once again to bring you our BIGGEST manga bundle yet, Humble Bundle x Kodansha Comics: Fantasy Manga! 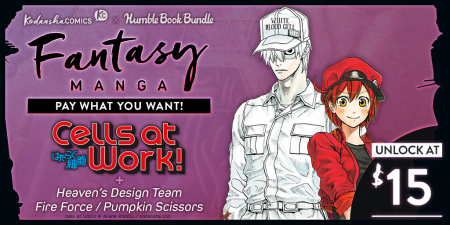 That’s up to $1000 worth of digital manga including our current hottest titles like Cells at Work! 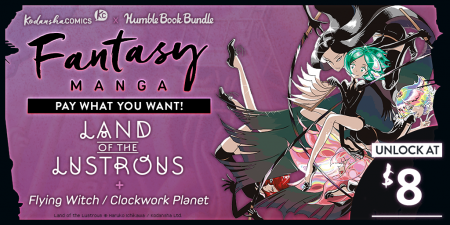 and Land of the Lustrous, as well as introduce you to both new and classic titles like Drifting Dragons, I’m Standing on a Million Lives, and Mushishi! So how does it work? Name your price. 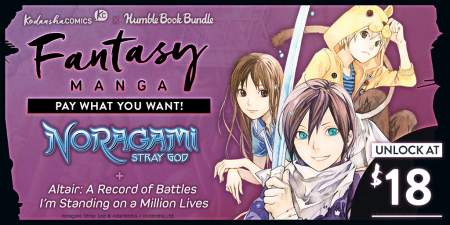 Together, the books in this bundle usually cost as much as $1000. At Humble Bundle, though, you choose the price! Support charity. 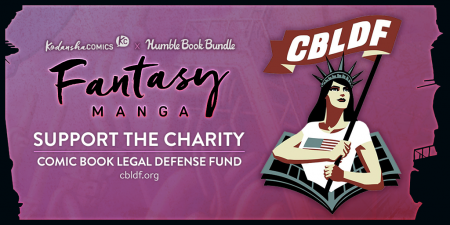 Choose where the money goes—among Kodansha Comics and our preselected charity The Comic Book Legal Defense Fund—or, if you like, a charity of your choice—via the PayPal Giving Fund. For details on how this works, click here. If you like this bundle or like what Humble Bundle does, you can leave a Humble Tip too. Pay what you want. Support charity. Get awesome manga!